BIG SANDY, Tenn. (AP) — A registered nurse who died protecting his wife during the Las Vegas shooting massacre was remembered as a hero at his funeral Tuesday in Tennessee. 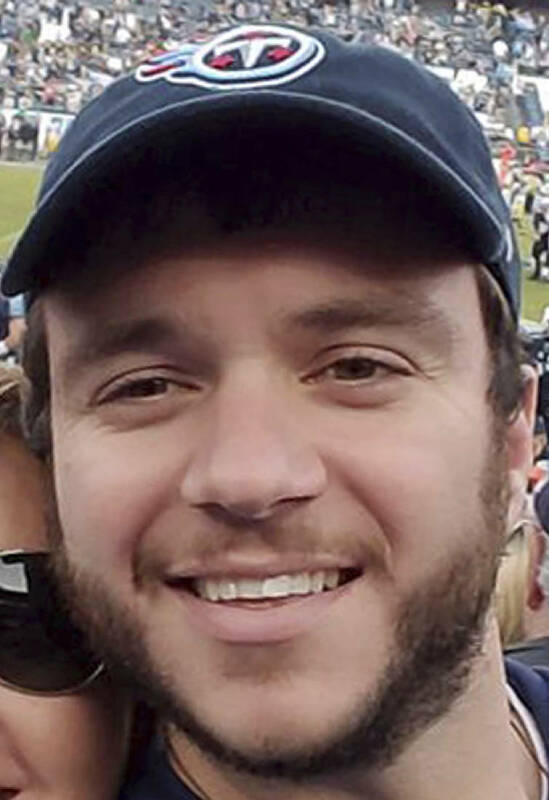 During the ceremony for Sonny Melton, Kris Gulish said his brother-in-law was humble, knew everybody and was known for his grin. He said the outpouring of support for Sonny and his wife, Heather Melton, shows that although there will always be evil in the world, it's exponentially outnumbered by the good. "He has touched this entire nation, a country boy from small town, U.S.A., and he did it simply by being himself," Gulish said. "But Sonny wouldn't call himself a hero. He was too humble for that." The last act of the 29-year-old nurse was to shield Heather Melton, an orthopedic surgeon at the Henry County Medical Center in Paris, Tennessee, where he also worked. 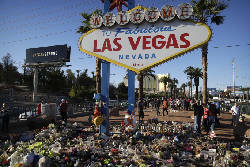 Sonny Melton was one of 58 people who died after a gunman opened fire from the 32nd floor of a Las Vegas hotel onto a crowd of more than 22,000 at a country music festival on Oct. 1. More than 500 were wounded. Dr. Melton spoke briefly, between tears, without prepared remarks. She said she doesn't have much strength, but wanted to acknowledge country musician Daniel Bonte at the funeral. It was Bonte, she said, who carried Sonny Melton to a truck, performed CPR on him on the way to the hospital and stayed with her after he was pronounced dead, even though the two were complete strangers. "In that very dark night, I was screaming for somebody to come and help me, and then an angel came and put Sonny over his shoulder and carried him off the field," she said. "There was more than one hero that night," she added. Bonte then sang the song "Like a Cowboy" in Sonny Melton's memory. This story was updated Oct. 10 at 11:59 p.m. with more information.